We provide affordably priced, straightforward legal services to individuals and businesses in the Derby area. As property law specialists with over 44 years' professional experience, we offer swift resolutions for a wide range of legal matters, including conveyancing, tenancy disputes and contract law. We also offer matrimonial and civil litigation support, advice on sales and auctions, will writing, probate services and more. Our legal team includes some extremely experienced lawyers (our founder, John Beighton, has more than 40 years’ experience as a lawyer), underpinning our reputation for reliability, value and successful legal resolutions. We also have some more recently qualified solicitors on our team, providing the benefit of a fresh perspective, dynamism and a strong work ethic, to make Beightons a winning team for a whole range of legal matters. Our professional legal and conveyancing services are some of the most affordably priced in the Derby area. There are no excessive fees or hidden charges for our services. After a free consultation we will issue you with a transparent quote giving a fixed-rate fee for all our services. Why pay more than you have to? Fees start at only £399. Do you have a legal matter you would like to discuss but you're unsure on how to proceed? Chat to us for a no obligation, risk-free assessment of your situation, with the option to pursue action on an affordable, fixed-rate fee. We provide practical, straightforward assistance in all probate matters, relieving the legal and administrative burdens of losing a loved one. Each case is treated with the utmost sensitivity, the aim being to remove unnecessary stress at an already difficult time - read more here. We provide confidential advice and representation on all matrimonial and civil cases, including divorce, debt recovery, landlord / tenant disputes, planning disputes, personal injury claims, commercial compensation and more - read more here. As property specialists, we offer a full range of legal services related to freeholds and leasehold properties. Please get in touch for further information - read more here. We offer our property law services to businesses, private homeowners, housing associations, investors and property developers. We cover all aspects of commercial and residential property law, including mortgages, planning issues, conveyancing, rental contracts, lease agreements and property land sales - read more here. We provide comprehensive legal support for individuals and businesses purchasing other companies, goods or property at auction - read more here. We can help customers draw up a legally watertight Last Will & Testament that ensures a smooth probate process upon the Will holder’s death - read more here. 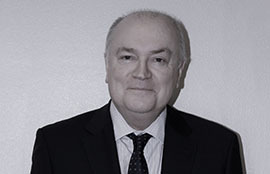 An experienced property law expert, John established Beighton’s Solicitors in 1973. For the past 44 years, he has played a frontline role in the business, providing advice and practical services to clients across a wide range of legal areas. Before becoming a lawyer, John had a background in the hotels and hospitality business. 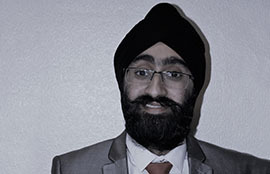 As head of the company’s property law department, Parminder applies his up-to-date knowledge of property law to provide cost-effective solutions for our customers. 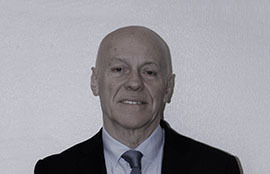 He is joint director of the company with John. Together they oversee the management of the business and deliver a range of legal services for our customers. Joanne is currently a Graduate Member of the Chartered Institute of Legal Executives and will submit for full fellowship in September 2018. 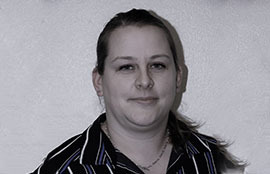 Joanne assists clients with freehold and leasehold issues, auction acquisitions, and lasting power of attorney matters. Parminder and Joanne are the younger members of the team.